Halifax is a beer town, that’s for certain. You’d be hard-pressed to find someone of legal drinking age who doesn’t enjoy a cold brew at least once in a while, and with all the local craft breweries in the region, there’s lots to choose from. But that abundance of choice isn’t quite there in terms of a drinking venue, at least for the social introverts, or the quiet types, or anyone else who might not be a fan of the typical club or pub scene. With the exception of a few chill outliers, if you want to get out for a drink in this town, you’ve got to be prepared for a loud and crowded night. 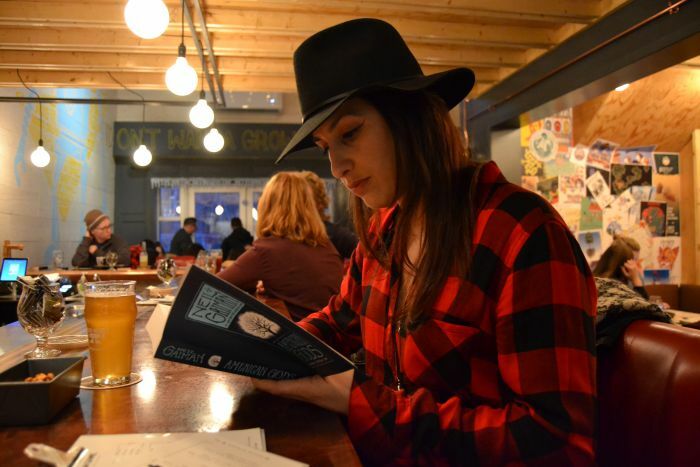 But the folks behind the Good Robot Brewing Company, one of the newer names in Halifax craft beer, know that beer drinkers come in all types, and they want to try and make their newly-opened tap room a place all kinds of beer lovers will want to visit. That’s why the folks at Good Robot are setting aside two hours a month to turn their tap room into an “imbibrary,” and hosting silent reading nights. The rules are simple – from 6pm to 8pm, no cell phones, no wifi, no idle chat. The tap room’s typical raucous playlist is switched out for soft jazz, and the only things open are the taps and your books. Counsil admits that this isn’t an original idea – it’s something he’s borrowing from the Sorrento Hotel, a watering hole he knew of from his time in Seattle. The idea of drawing that kind of crowd, especially in the winter months when beer sales trickle in comparison to summer, definitely appealed to the guys at Good Robot. And for their first trial run, a crowd they did draw. Their second silent reading session, which I attended, was no less busy. I arrived early so as to guarantee a seat, and while the tap room seemed more crowded before the event began, thanks to the chatter and lively music, there were actually more people in the bar during quiet time - the patrons really began to flow in once the clock struck six. For two hours, I sat quietly in a corner booth with a bunch of people I had never met, sipping an orange-infused Double IPA, and getting through some of my graphic novel backlogs. It should have been the most introverted way I could spend a night at a bar. And yet, when the pub rock came back on and reading time was over, that typical bar feel returned, but I was way more comfortable in it, and I felt like I had already made friends with these strangers. That, according to Counsil, is the whole point of silent reading night. 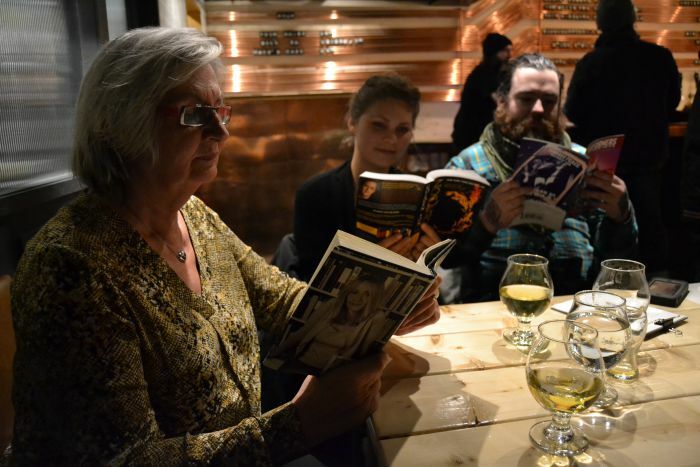 Counsil plans to keep hosting silent readings at the tap room on Robie Street once a month, at least until the summer months, but don’t expect much more than that. They have their more extroverted customers to think about, too. But for those two hours a month, quiet drinkers have a haven at Good Robot’s imbibrary – and I think I’ll continue to join them. “If they did this once a month, I would probably come every month,” says Kovacevic. Good Robot’s Facebook page is the best place to keep up-to-date on when their next silent reading session will be, if you want to get in on this, too.